RAMEZAY (Ramesai, Ramesay, Ramsay), JEAN-BAPTISTE-NICOLAS-ROCH DE, officer in the colonial regular troops and king’s lieutenant; b. 4 Sept. 1708 at Montreal (Que. 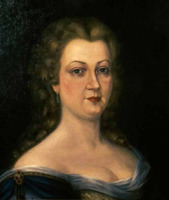 ), youngest son of Claude de Ramezay* and Marie-Charlotte Denys de La Ronde; brother of Louise and Marie-Charlotte*, dite de Saint-Claude de la Croix; m. 6 Dec. 1728 at Trois-Rivières Louise, daughter of René Godefroy* de Tonnancour; they had six children, five of whom died in infancy; d. 7 May 1777 at Blaye, France. 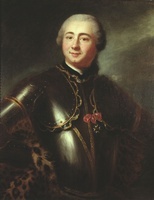 Jean-Baptiste-Nicolas-Roch de Ramezay spent his childhood at the Château de Ramezay in Montreal. On 7 May 1720, at the age of 11, he became an ensign in the colonial regulars, and after the death of his brother Charles-Hector de Ramezay de La Gesse in August 1725 his mother sought and obtained for him the deceased’s lieutenancy. 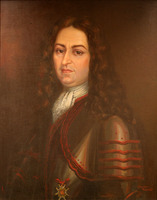 Promoted lieutenant on 23 April 1726, he was sent to Fort Niagara (near Youngstown, N.Y.) in a force commanded by the engineer Gaspard-Joseph Chaussegros de Léry. This force was to rebuild Niagara, which was intended to “serve as a barrier” to the expansion of the British, recently established at Oswego (N.Y.). In the spring of 1728 he took part in the expedition that Constant Le Marchand* de Lignery led against the Foxes in the Illinois country, and in 1731 Governor Beauharnois* entrusted him with the mission of pacifying the Ojibwas of Chagouamigon (near Ashland, Wis.). Three years later he was promoted captain. In 1742 he was named commandant of Fort La Tourette (also called La Maune, at the mouth of the Onaman River, Ont.). 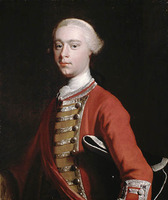 In 1746, two years after war had been declared between France and Britain, Governor Beauharnois and Intendant Hocquart, on the order of the minister of Marine, raised a detachment of Canadians and Indians to take part in the campaign in Acadia. They gave command of the expedition to Ramezay, who left Quebec on 5 June with 700 men on seven ships. He first landed at Baie-Verte (N.B.) on 10 July and from there sent a detachment under Joseph-Michel Legardeur de Croisille et de Montesson to Port-La-Joie (Fort Amherst, P.E.I. ), recently taken by the British; he then took up quarters at Beaubassin (near Amherst, N.S.). Ramezay’s mission was to meet the French squadron under the Duc d’Anville [La Rochefoucauld*], but in the absence of precise orders from the latter he was supposed to divide his forces and attack both Canso and Annapolis Royal. On 22 Sept. 1746 he learned of the arrival of the remnant of the French squadron at Chibouctou (Halifax) and the death of the Duc d’Anville, who eventually was replaced by La Jonquière [Taffanel*]. Ramezay therefore prepared to attack Annapolis Royal, which he reached on 11 October. But after waiting 23 days for La Jonquière, Ramezay, who for want of sufficient troops had established only a cordon around the fort to prevent communication between the garrison and the village, had to withdraw to Beaubassin. 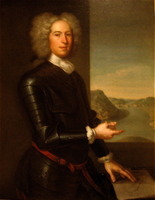 In December an expeditionary force of New England troops under Lieutenant-Colonel Arthur Noble* settled in at Grand Pré with the aim of ending incursions into Nova Scotia by the Canadians and French. On learning this news Ramezay decided to attack them, and he entrusted leadership of the detachment, which left on 9 Feb. 1747, to his second in command, Captain Nicolas-Antoine Coulon* de Villiers. After being wounded in the attack Coulon was replaced by Louis de La Corne*. Following some hours of combat, Benjamin Goldthwait* surrendered and signed the act of capitulation on 12 February. Ramezay profited most from this exploit; on 15 Feb. 1748 he was decorated with the cross of Saint-Louis. 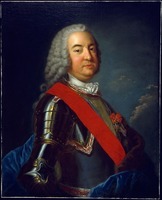 In 1749 Ramezay was appointed major of Quebec, replacing Paul-Joseph Le Moyne de Longueuil, and thus assumed the duties of second in command to the king’s lieutenant at Quebec. He held the office “with honour and distinction” for nine years, before acceding at the age of 50 to the post of king’s lieutenant with a salary of l,800 livres. In the spring of 1759 Quebec was readying its defences in anticipation of an attack by the British fleet. Around the city, under the instructions of Governor Vaudreuil [Rigaud], were gathering French sailors, French and colonial regulars, militia from the governments of Montreal, Trois-Rivières, and Quebec, and Indian allies. As the officer responsible for the defence of the Upper Town, Ramezay had under his orders 700 soldiers and sailors, a few gunners, and the townspeople who had become militiamen for the occasion. The British fleet reached the Île d’Orléans on 26 June, but apart from a destructive bombardment from Pointe-Lévy (Lauzon), the summer passed without the town being attacked. In mid August Ramezay’s health forced him to enter the Hôpital Général and to delegate his powers to a subordinate. He was still there when the British forces under Wolfe* reached the Plains of Abraham on 13 September. Learning of Montcalm*’s defeat, Ramezay returned to town and resumed command of his troops. 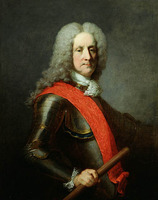 He asked Pierre-André Gohin, Comte de Montreuil, Montcalm’s assistant chief of staff, for reinforcements and received 150 French soldiers and several cannon. That evening, a council of war held at the headquarters of Governor Vaudreuil at Beauport decided on a retreat to Jacques-Cartier. 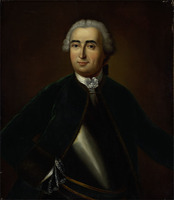 Through Montcalm, who approved them on his death-bed, Ramezay received from Vaudreuil terms of surrender as well as instructions that he was “not to wait until the enemy storms the city, thus as soon as he lacks supplies he will hoist the white flag and send the most capable and most intelligent officer of the garrison to propose its capitulation.” Stunned, Ramezay appealed to Montcalm, but the general was too close to death to respond. The next day Ramezay reviewed his forces and established that he had about 2,200 men, consisting of 330 French and colonial regulars, 20 artillerymen, 500 sailors, and the rest militiamen. Rations for them and the 4,000 inhabitants would last at most for eight days. On 15 September Ramezay was again shocked when he received a “request from the burghers of Quebec” which urged him to capitulate on honourable terms [see François Daine*; Jean Taché*]. Ramezay called a council of war of the garrison’s principal officers, to whom he reported Vaudreuil’s instructions. Thirteen of the fourteen officers proposed capitulation, the sole exception being Louis-Thomas Jacau de Fiedmont. Meanwhile the town’s artillery was causing damage to the British forces on the Plains of Abraham and to their ships. On the 17th Lévis, hastening from Montreal, met Vaudreuil at Jacques-Cartier and decided to march the army back to Quebec in the hopes of preventing the enemy from spending the winter there. Attempts were made to get food to the city and Vaudreuil sent new instructions to Ramezay to hold out until Lévis arrived. But at 3:00 P.m. on the same day Ramezay, faced not only with the request from the townspeople and the decision of the council of war but also with the imminent bombardment of Quebec from cannon being assembled on the plains and from the British fleet, hoisted the white flag. 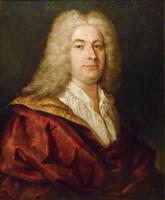 He then sent Armand de Joannès, major of Quebec, to discuss the terms for capitulation and the surrender of the town. At 11:00 P.m. Joannès returned to the British headquarters with a document signed by Ramezay. Only after his departure did Vaudreuil’s second instructions arrive. On the morning of 18 September Charles Saunters and George Townshend* signed the capitulation; the next day Ramezay handed the city over to Townshend, and the soldiers of the garrison went aboard British vessels. Ramezay and the officers embarked on 22 September, but they did not sail until 19 October. By a proxy signed before his departure Ramezay had asked his wife to sell his property in Canada and she did so on 23 Aug. 1763. In 1765 she left with her daughter Charlotte-Marguerite, her son-in-law, and their two children to join her husband in La Rochelle. Ramezay, who had been granted a meagre pension of 800 livres, ultimately went to live at Blaye, where he died on 7 May 1777. The question of whether Ramezay was right to surrender still persists. After having given him precise instructions to that effect, Vaudreuil was the first to criticize him. Joannès, one of the officers who had agreed to the surrender, albeit with certain reservations, also attacked him in his memoir on the campaign. In Britain there was immediate exultation at the capture of the city, and in his report to the king Townshend emphasized the advantage there had been to signing a hasty peace, even though the conditions granted the French seemed generous to him. Ramezay’s decision had been greatly influenced by the number of sick and wounded, the lack of supplies, the various pressures brought to bear by the townspeople and the officers of the garrison, and the imminent threat of renewed bombardment: these had demolished any combative spirit he had shown until then. But it was the desertion of the militia and the flight of the regular troops after the battle that played the greatest part in destroying the last hopes that a victory was still within reach. Throughout history there have been many victims of a combination of circumstances: Ramezay was simply one of them. 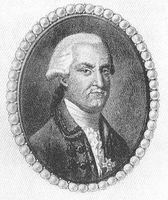 [J.-B.-N.-R. de Ramezay], Mémoire du sieur de Ramezay, commandant à Québec, au sujet de la reddition de cette ville, le 18 septembre 1759 [. . .] (Québec, 1861) (pt.1: “Évènements de la guerre en Canada durant les années 1759 et 1760”; “Relation du siège de Québec du 27 mai au 8 août 1759”, pt.2: “Mémoire du sieur de Ramezay”). AMA, Bibliothèque du ministère de la Guerre, A2C, 236, ff.222–24; 287; SHA, A1, 3540, 3542–46 (mfm. at PAC). AN, Col., C11A, 120, ff.398, 405; C11E, 13, ff.150, 257; D2C, 49; 57; 58; 61; 222, f.673. Coll. des manuscrits de Lévis (Casgrain), I, 215; II, 242–43; IV, 162–64; V, 205, 230, 232, 293, 309, 356; VI, 106, 155, 174, 186, 228; VII, 64, 551–53, 616; VIII, 68, 78, 110; X, 111–13. Coll. doc. inédits Canada et Amérique, II, 10–75. Doc. relatifs à la monnaie sous le Régime français (Shortt), II, 740–42, 744, 750, 754, 794. “Journal du siège de Québec” (Æ. Fauteux), ANQ Rapport, 1920–21. Knox, Hist. journal (Doughty), II, 108–10, 123; III, 267–95. “Mémoire du Canada,” ANQ Rapport, 1924–25, 151–67. Mémoires sur le Canada, depuis 1749 jusqu’à 1760, 169–71. “Projet pour la défense du Canada pendant la campagne 1759, relativement à ses forces et aux projets que peuvent avoir les Anglois pour l’attaquer,” ANQ Rapport, 1932–33, 368–72. 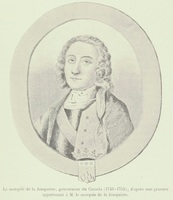 [Nicolas Renaud d’Avène Des Méloizes], “Journal militaire tenu par Nicolas Renaud d’Avène Des Méloizes, cher, seigneur de Neuville, au Canada, du 8 mai 1759 au 21 novembre de la même année . . . ,” ANQ Rapport, 1928–29, 76–78. Siège de Québec en 1759 [. . .] (Québec 1836; republished in Quebec, 1972, in Le siège de Québec en 1759 par trois témoins, J.-C. Hébert, édit.). [F.-]M. Bibaud, Le panthéon canadien; choix de biographies, Adèle et Victoria Bibaud, édit. (2e éd., Montréal, 1891), 243–44. Æ. Fauteux, Les chevaliers de Saint-Louis, 145. “Historic forts and trading posts of the French regime and of the English fur trading companies,” comp. Ernest Voorhis (mimeographed copy, Ottawa, 1930), 98. Le Jeune, Dictionnaire, II, 499–500. “Lieutenants du roi à Québec,” BRH, XVII (1911), 381. “Les majors de Québec,” BRH, XIX (1913), 352. J.-E. Roy. Rapport sur les archives de France. P.-G. Roy, Les officiers d’état-major des gouvernements de Québec, Montréal et Trois-Rivières sous le Régime français (Lévis, Qué., 1919), 88–94. Tanguay, Dictionnaire, I, 183; III, 351. Wallace, Macmillan dictionary, 617–18. Antoine Champagne, Les La Vérendrye et le poste de l’Ouest (Québec, 1968), 138, 272. A. [G.] Doughty and G. W. Parmelee, The siege of Quebec and the battle of the Plains of Abraham (6v., Quebec, 1901), II, 79, 212–13; III, 104, 132, 259–60, 272–73, 292; IV, 10, 149, 154, 163–217, 219–29, 239–78; V, 1–11, 111, 225–81, 283–301, 303–26. Guy Frégault, La civilisation de la Nouvelle-France, 1713–1744 (Montréal, 1944), 53–54; La guerre de la Conquête. Félix Martin, Le marquis de Montcalm et les dernières années de la colonie française au Canada (1756–1760) (Paris, 1898) (contains in an appendix the deliberations of the council of war presided over by Ramezay on 15 Sept. 1759). P.-G. Roy, La famille de Ramezay (Lévis, 1910). Stacey, Quebec, 1759. Stanley, New France. “La famille de Ramezay,” BRH, XVII (1911), 18–22, 33–34, 44, 74, 103–10. A. [-E.] Gosselin, “Notes sur la famille Coulon de Villiers,” BRH, XII (1906), 198–293. Victor Morin, “Les Ramezay et leur château,” Cahiers des Dix, 3 (1938), 9–72. P.-G. Roy, “Le conseil de guerre tenu à Québec le 15 septembre 1759,” BRH, XXII (1916), 63–64; “M. de Ramesay, lieutenant de roi à Québec, après 1759,” BRH, XXII, 355–64; “Où fut signé la capitulation de Québec, le 18 septembre 1759?” BRH, XXIX (1923), 66–69. Jean Pariseau, “RAMEZAY, JEAN-BAPTISTE-NICOLAS-ROCH DE,” in Dictionary of Canadian Biography, vol. 4, University of Toronto/Université Laval, 2003–, accessed April 22, 2019, http://www.biographi.ca/en/bio/ramezay_jean_baptiste_nicolas_roch_de_4E.html.